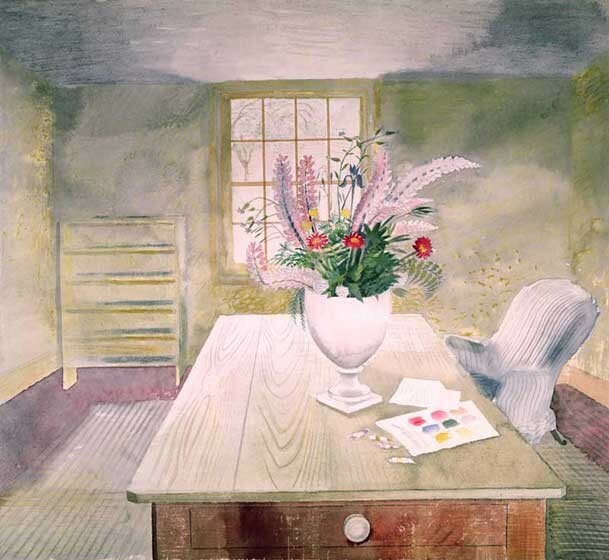 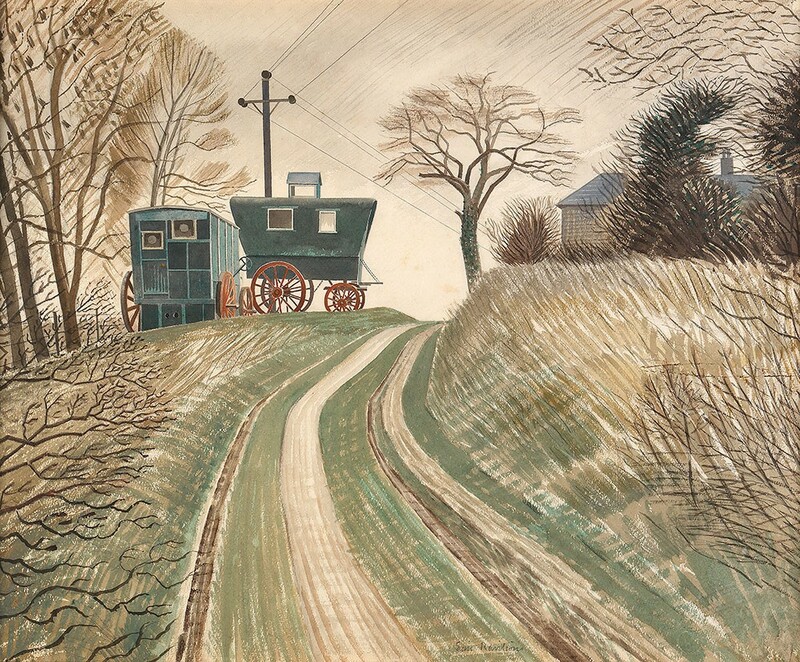 Much of his work, especially his watercolours, evoke idyllic associatons with Englishness and the countryside from a time only a few of us now remember. 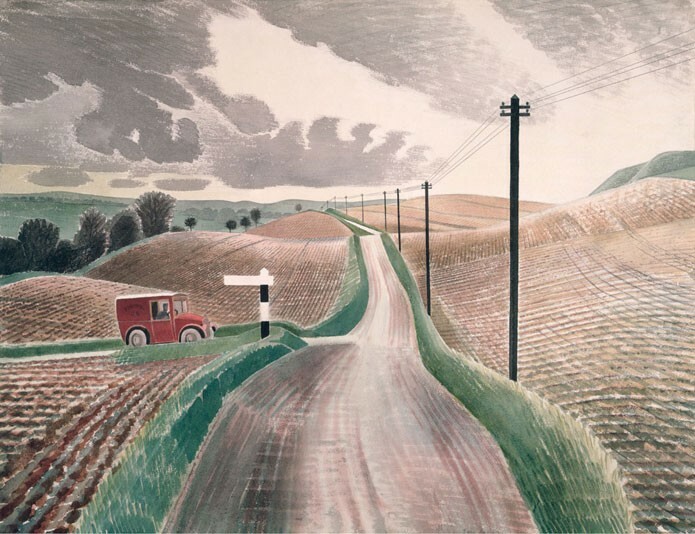 As a war artist, although beautifully executed with subjects that on the whole focussed on the people and machines of war in landscape as opposed to the tragic consequences of war, this body of work reminds us of the stark contrast from earlier 1930s depictions of peaceful times in the contryside. 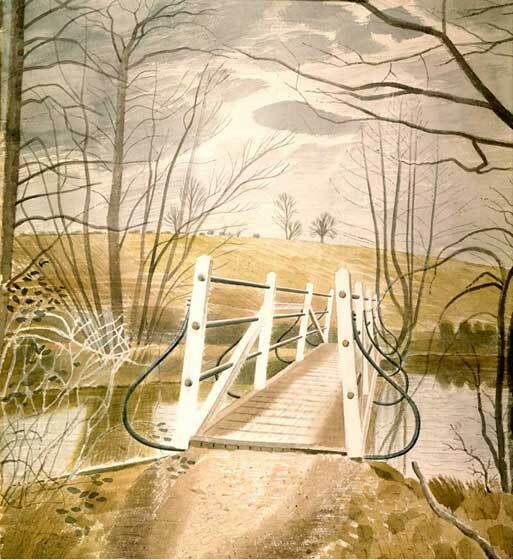 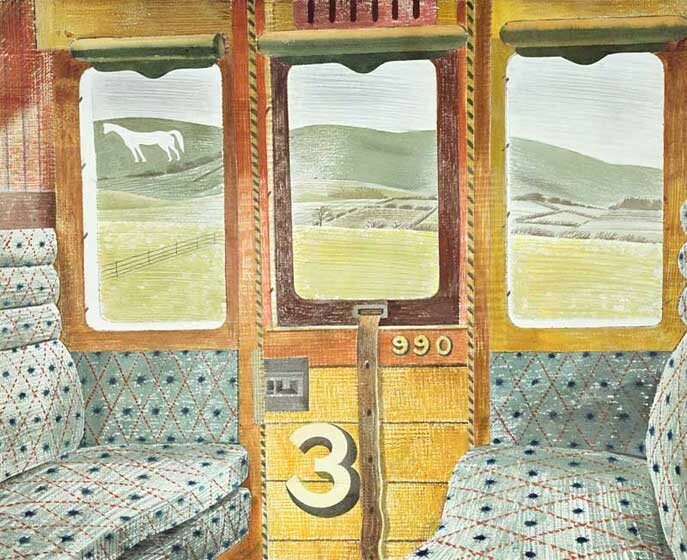 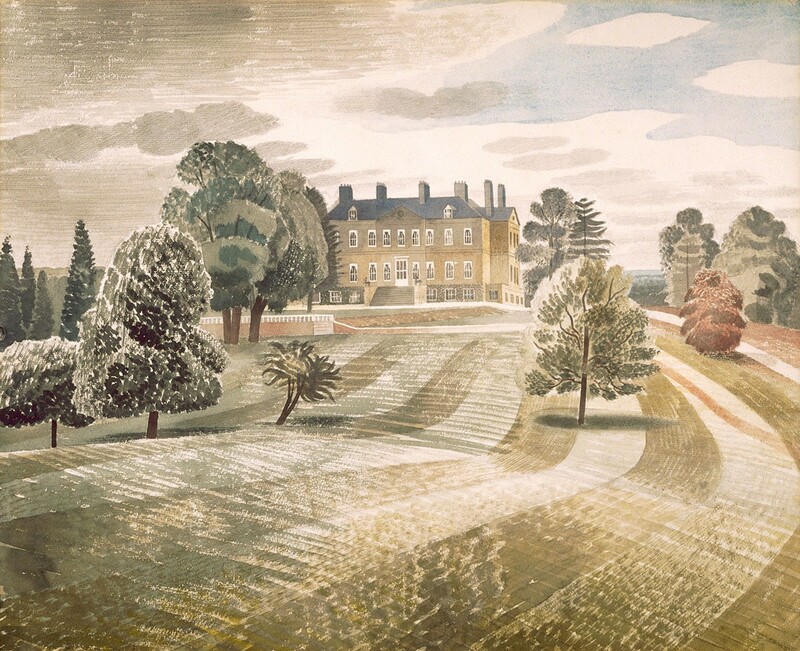 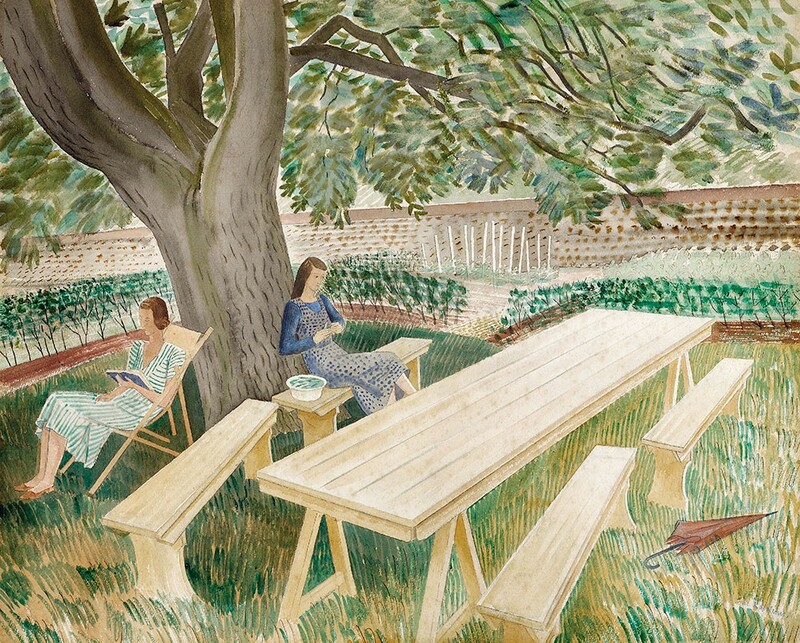 Ravilious attended the Royal College of Art where he was taught by Paul Nash. 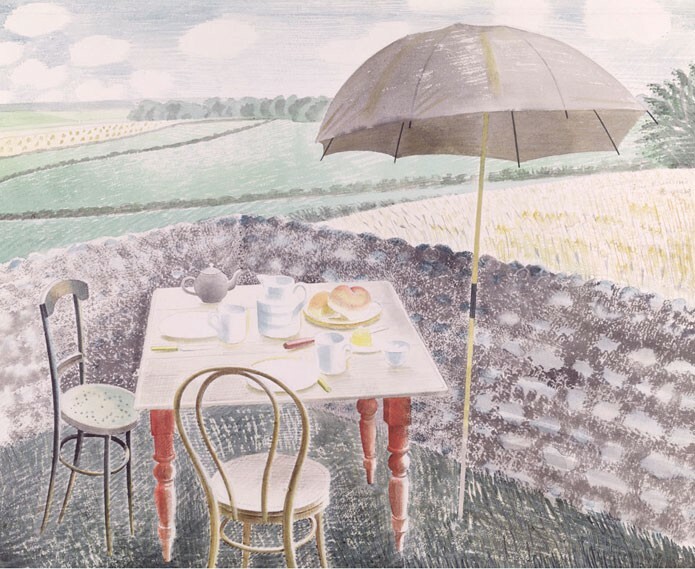 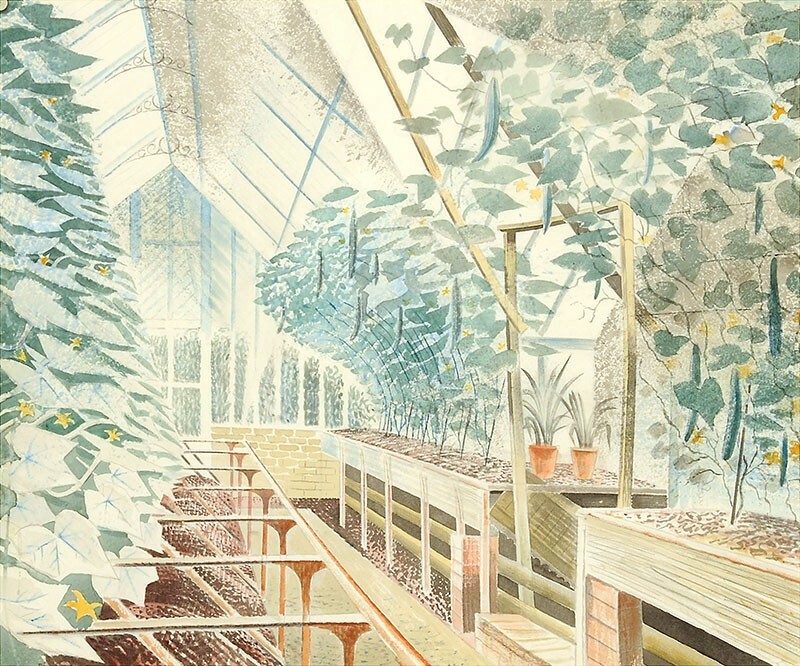 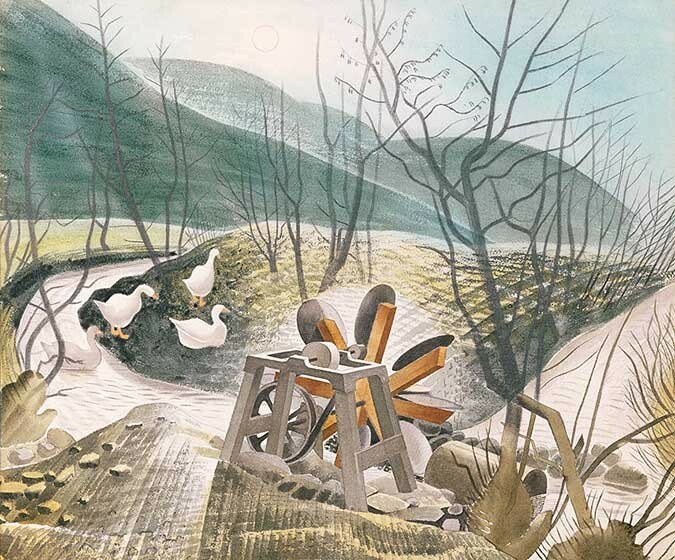 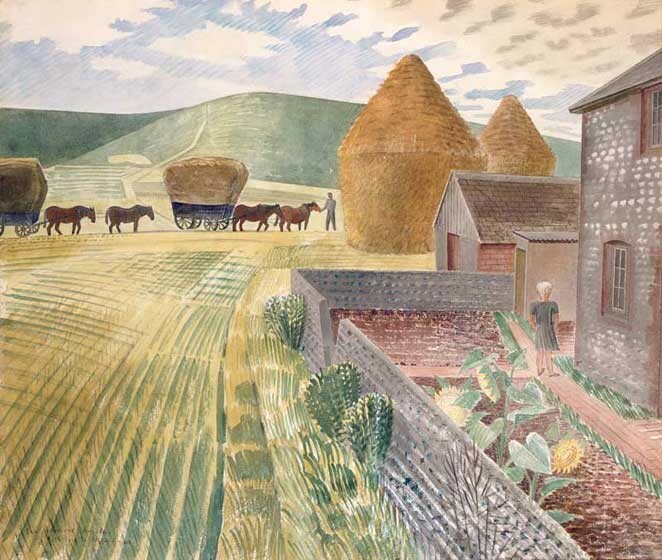 He was good friends with several arists, many associated with the 'Great Bardfield' artists, notably Edward Bawden. 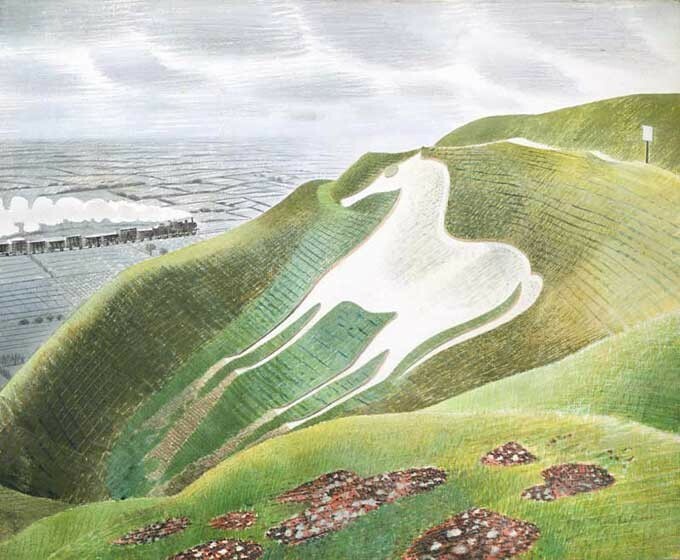 Ravilious tragically lost his life in 1942 whilst serving within the Royal Air Force as War Artist on a rescue mission off the coast of Iceland.